Salt Factory Pub is one of those restaurants that makes quite an impact on you and your taste buds. Every food item on the menu is carefully planned out and made to perfection. 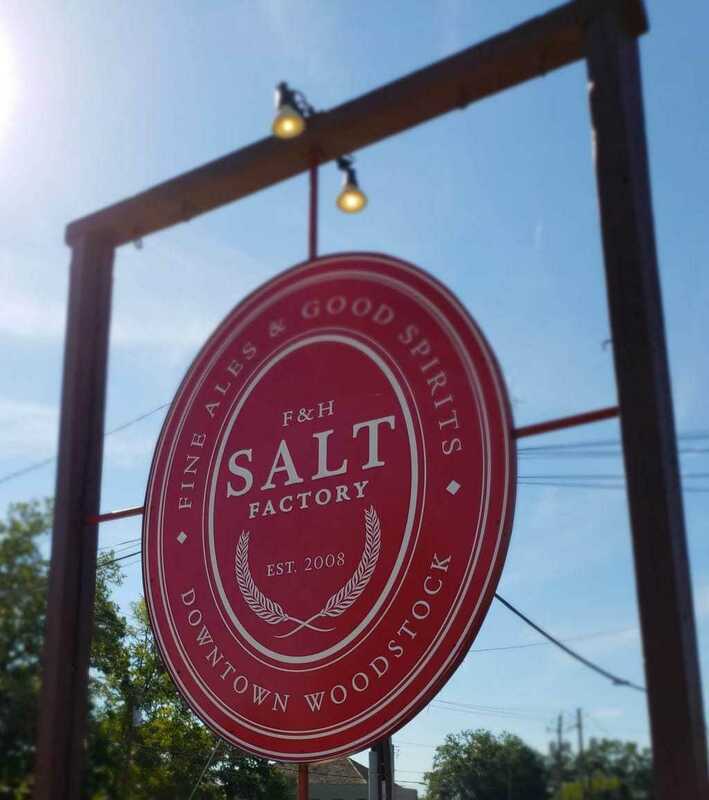 If you consider yourself a “foodie” of sorts, then you have to eat at the Salt Factory Pub. I was fortunate enough to dine there recently with a friend and honestly, I can’t wait to go back. In fact, I’ve thought about the food often since my dining experience there…and for me, that’s rare. 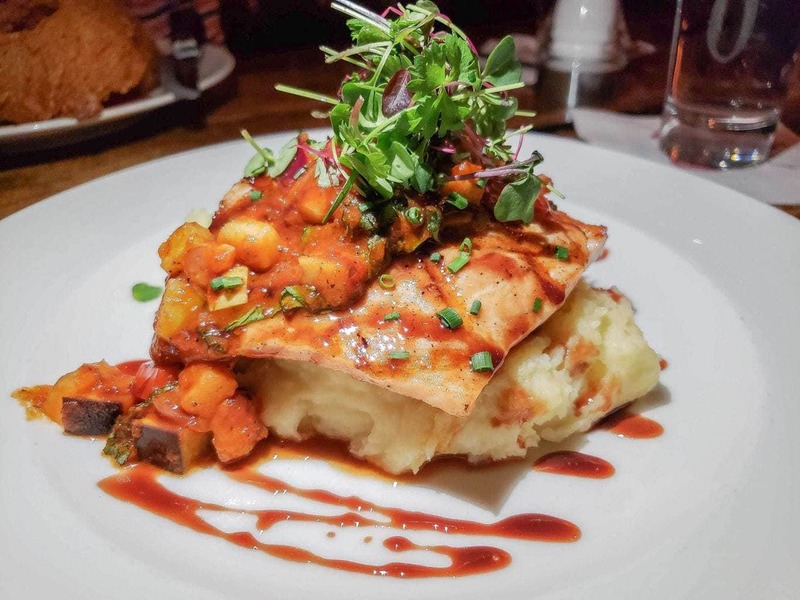 Trust me when I say that eating at the Salt Factory Pub is a dining experience you won’t forget! I was provided a complimentary meal for this review but all opinions are my own. Before dining at Salt Factory Pub, I’d read the reviews and heard stories about how good the food was, but honestly, until you arrive and try it yourself, words just can’t describe. From the moment that we arrived, I knew that we were in for a treat. It would be wrong if I failed to mention all the beer options that Salt Factory Pub had to offer. They have more than 50 beers on draft and in the bottle to pair up nicely with their food. Did I mention that all their food is made from local and organic ingredients as well? One other aspect that I loved about the restaurant was that it had a nice, warm and inviting atmosphere. Dark floors and brick walls creating an “adult” feel where it was relaxing to sit and just enjoy great food and conversation. It’s impossible to start a meal without an appetizer, right? 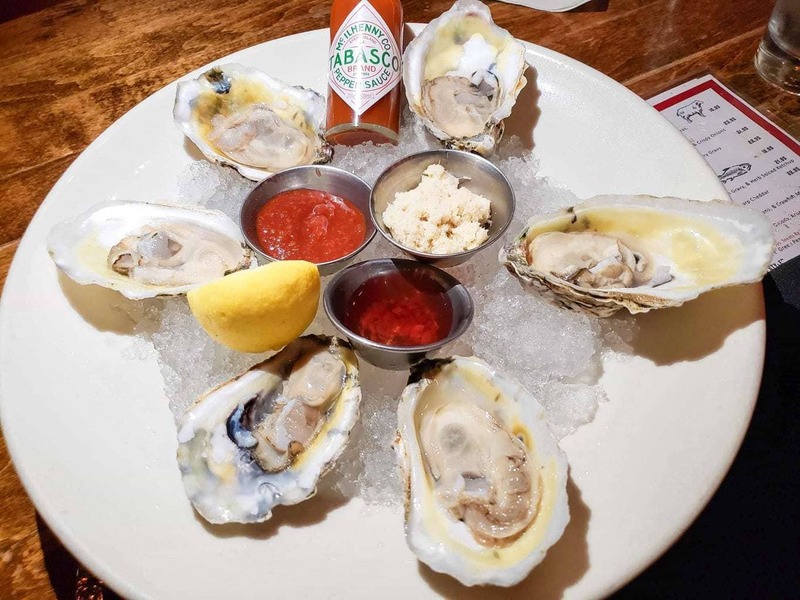 The one that we delighted in was the Boutique Oysters and it was absolutely the right decision. While we shared the appetizer, we both could have easily ordered another one just to have that amazing taste and flavor again! Their dinner menu is impressive with options such as Chicken Fried Chicken and Veal and Mushroom Meatloaf. After spending a few moments, my friend and I both picked our dinner entrees with ease. I choose to dine on the Blood Orange Glazed Salmon while my friend ordered the London Broil. It’s safe to say that once we had a bite, the talking was minimized quite a bit because we were thoroughly enjoying our meals. Not only was the flavor outstanding, literally everything was cooked to absolute perfection. You will want to leave room for dessert. 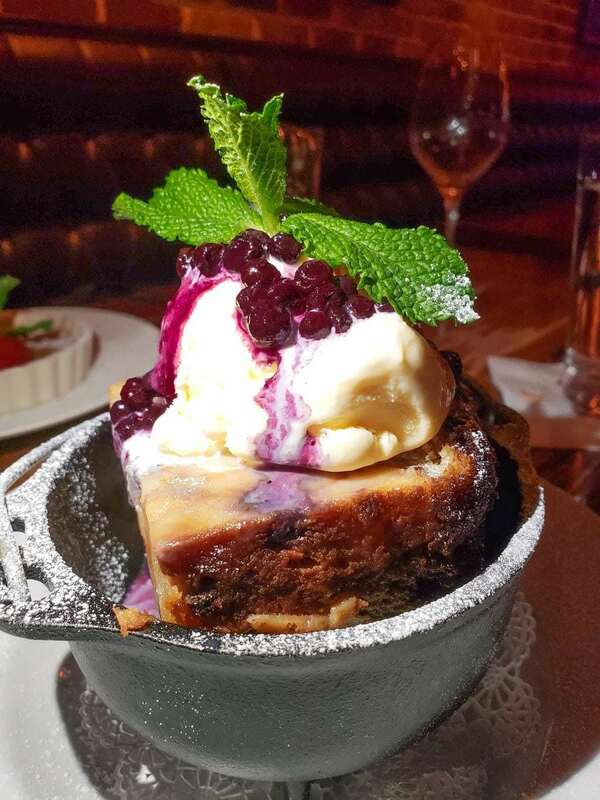 I enjoyed this delicious and warm Bread Pudding, with the ice cream on top making the perfect combination. 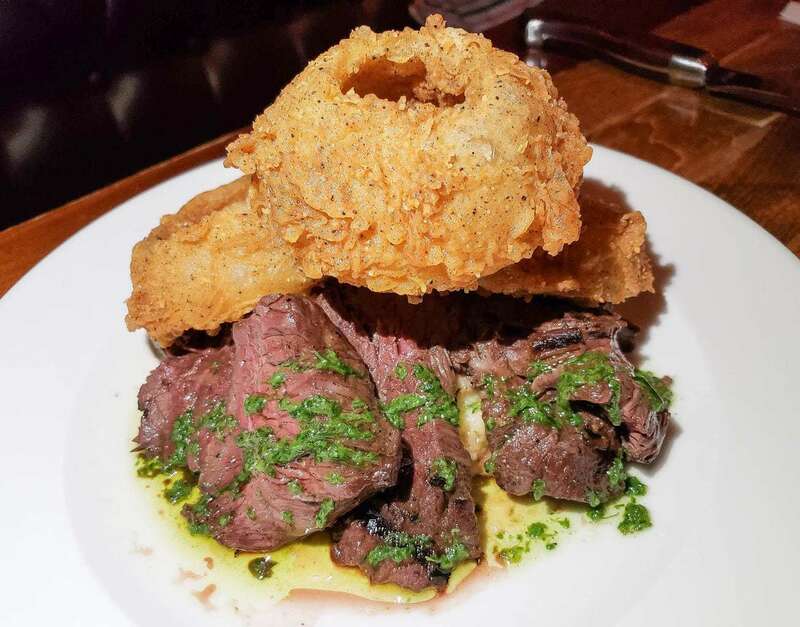 Our dining experience at Salt Factory Pub was truly enjoyable. From appetizers to dessert, every part of our taste buds were treated like true royalty. 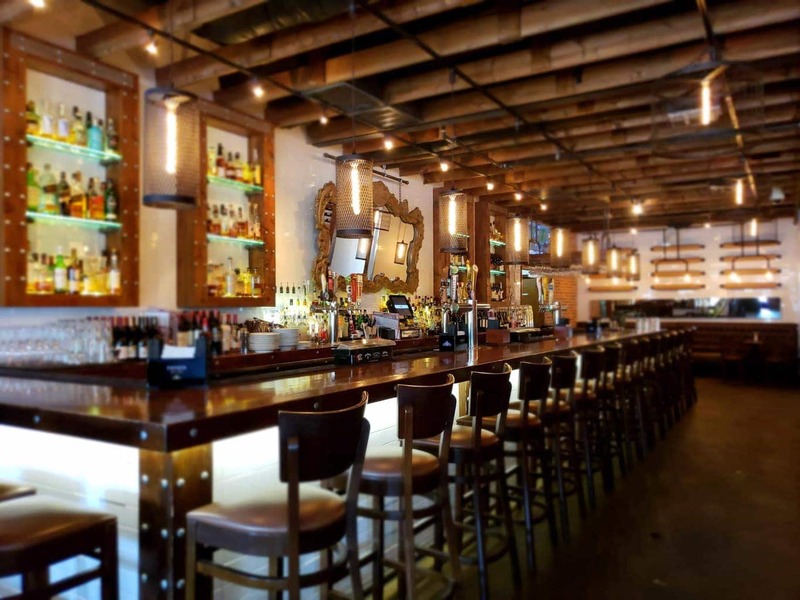 If you find yourself in the Downtown Woodstock area, Salt Factory Pub needs to be on your radar. You’ll be blown away by just how spot on their flavors are. It’s such a great feeling to go to a restaurant and know that they’ve perfected the menu options that you can order. I cannot wait to go back and plan to do so shortly with my family!